Stephen Shender Steve turned to novel writing after a 30-year career in journalism, political and corporate speechwriting, and marketing communications. His first book is Once There Was Fire: A Novel of Old Hawaii. 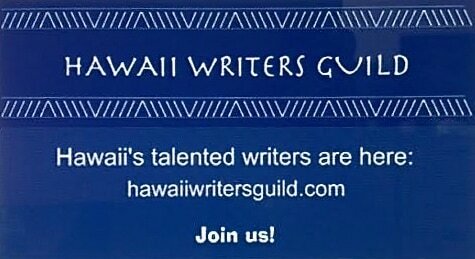 The novel follows the rise of Kamehameha the Great (c. 1748-1819) as he conquers the Hawaiian Islands by force of European arms and tactics to found the Kingdom of Hawaii. Beginning with Kamehameha's birth at Kokoiki in the Big Island's Kohala District, and ending with the aftermath of his death at Kailua-Kona 1819, Kamehameha’s story is told by one of his nephews from a Hawaiian perspective (as best as a haole author from Chicago can manage such a thing). Steve lives in the Monterey Bay area with his cat, parrot, and long-suffering wife, Cathy. He is presently ruminating about penning a sequel. Meanwhile, Steve is flogging his debut novel, blogging about it occasionally, and tinkering with his website. 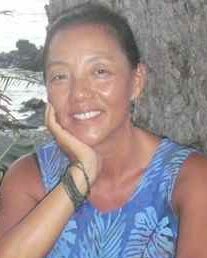 ​Gene Parola Gene J. Parola, author of Lehua, Ka’ao a ka Wahine (Lehua, The Story of a Woman) has been awarded the First Prize in Genre (Historical Novel) in the AuthorStand Second National Novel Competition. Dr. Parola, a graduate of UH-Manoa, and a retired cultural historian, has steeped himself in Hawaiian history and culture since his belated return to Hawaii in 2000. As a member of the faculty at the Ministry of Defense, Kingdom of Saudi Arabia and Koç University, Istanbul, Turkey, Dr. Parola has acquired a careful perspective on religions. ​Helena Kim I am a Korean-American poet and fiction writer. My poems have been published in Global City Review and other publications and my novel, The Long Season of Rain, published for both adult and young adult, was nominated for National Book Award in Juvenile literature in 1996, and was translated in seven languages. Currently I am completing a poetry collection, Exiled in Light, and working on a creative non-fiction, In Search of a Korean Shaman.